A range of 29 gauge subdermal Needle Electrodes for ECG and EEG recording may be purchased, suitable for use with ADInstruments Bio Amp Cables. 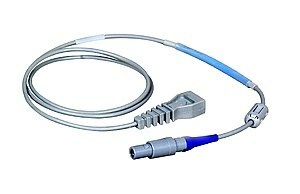 A range of catheter interface cables are available. 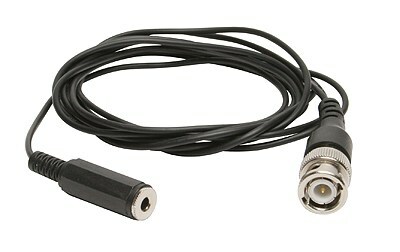 We offer a wide range of BNC cables and adapters - BNC to BNC cables, BNC connector adapters and more. Cables for connecting lead wires to Bio Amps. 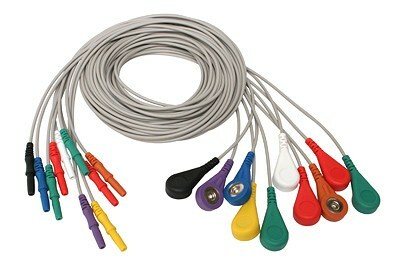 T-type Implantable Thermocouple Probes are suitable for connection to the T-type Pod or Cardiac Output Pod. The pressure gauge and accessories are ideal for calibrating conventional fluid-filled or Millar Mikro-Tip® pressure transducers. 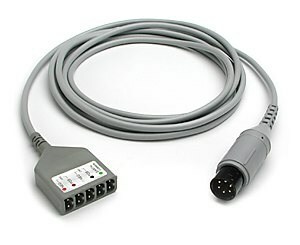 A range of DIN cables and adapters are available. Stimulator cables are suitable for connection to isolated stimulator outputs​ on T-series PowerLabs or outputs on ADInstruments Stimulators. Used in applications for Nerve Chambers and Isolated Heart preparations. For calibration of any of the mouse or rat single segment PV Catheters when used with the MPVS Ultra Single Segment Pressure-Volume Unit from Millar. 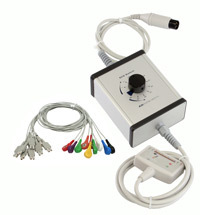 Cable packs depending on its design can be used for connecting compatible pressure-volume catheters to the inputs of a Millar MPVS Ultra PV Unit, or the outputs of the MPVS Ultra PV Unit to a PowerLab. Push Button Switches connect to any PowerLab (via BNC or DIN input), providing either a 1V or 6V output for triggering, timing or marker signals. The Spring Clip Electrodes are ideal for measuring electrical activity from the isolated heart in a Langendorff or Working Heart preparation. The vinyl mouthpieces (10 pk) are used with Disposable Filters and ideal for use in the respiratory classroom.